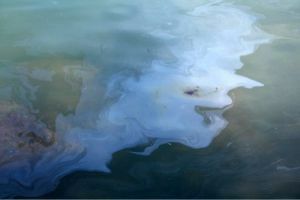 In the industrial process waste water with different sorts of contamination occur, containing floating and sedimentary characters. In some cases the waste fluids can be recycled after purification. As an example waste fluid can be reclaimed after the purification from tramp oil and dispersed particles from the fluid. Example of fluid of this category is the scrubber water for washing contaminated air. Oil from the purification of oily water can be purified further for heat production. Another application is "pre-evaporator" purification. Purifying the dirty waste-water separating and removing the majority of the contamination before the fluid enters the evaporator. This will extend the maintenance interval and life time of the evaporator. Water that contains oil and solid particle can be separated in Vivex 3-phase lamella separator. In the separator oil and solid particles are settled in a lamella package. Floating wastes are skimmed off on the liquid surface and the solid particles are collected in the bottom of the separator and discharged by a bottom valve or scraper unit. These separators operate automatically including cleaning of lamella packages.